The plastic nozzle inside the spout may break and pose a choking hazard. 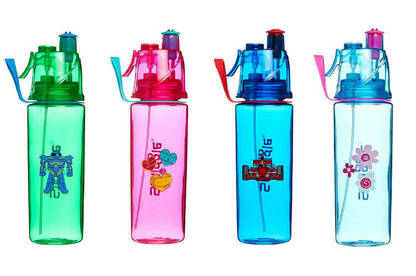 The Spritz water bottles have the SKU number 448008 and come in various colours. They were sold at Smiggle from 4 September 2016 to 19 October 2016. Stop using your water bottle and return it to Smiggle for a full refund. For more information, contact Smiggle on 0800 125 647 or product@smiggle.com.au.